Dinah is a princess, the future Queen of Hearts, who will one day reign over Wonderland. Unaware of the dark depths of her kingdom; she longs only for her father's approval and to reign with the boy she loves. But when a betrayal breaks her heart and threatens her throne, Dinah is launched into the dangers of Wonderland. She must stay one step ahead of her enemies or she'll lose not just the crown, it will be off with her head! 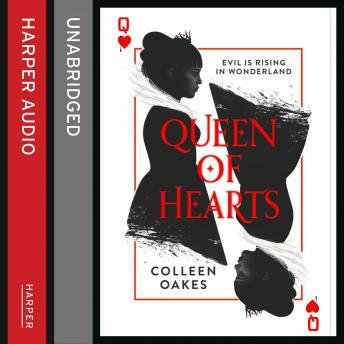 The first in an epic, imaginative series tells the origin of one of the most infamous villains - the Queen of Hearts.